The Communal Oven. In times past, rural communities in Italy often maintained communal ovens where neighbors could bake bread, chickens, and other foods, particularly large roasts like boar and pigs. This lovely small building on the Fattoria Lavacchio estate is such an oven. Two weeks ago, on our visit to the vineyard, we were treated to a Tuscan pizza fest, with the pies made right here. Below is a photo I shot 10 days ago from the back of this building—it’s the oven itself being tended by the pizzaiolo. This photo seems to be taken in a different location, in a different period in history, and it looks more like Napoli than Toscana. Nevertheless, these photos show the front and back of a brick, wood fired oven still used at Fattoria Lavacchio in the Tuscan hills. I have actually enjoyed many feasts, including 4 wedding feasts, prepared from this oven during two decades of regular visits. Cook a Steak in a Skillet. 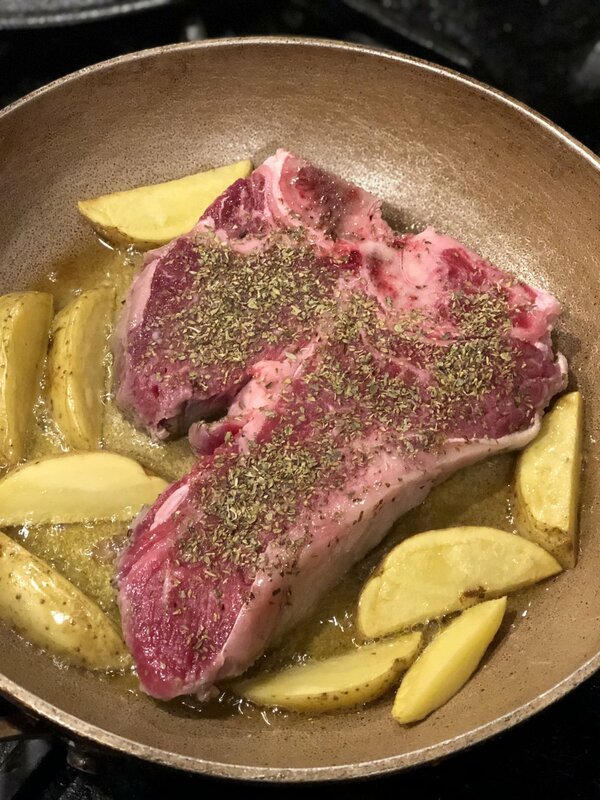 Here is a substantial porterhouse steak placed in a hot skillet with cut up potatoes and a splash of olive oil. This is how it begins. 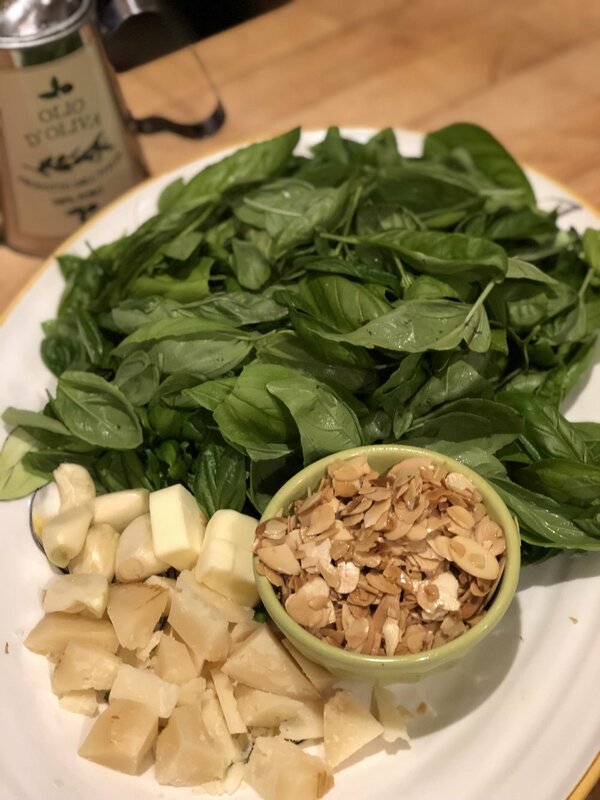 Simple, fast, fresh, and delicious. 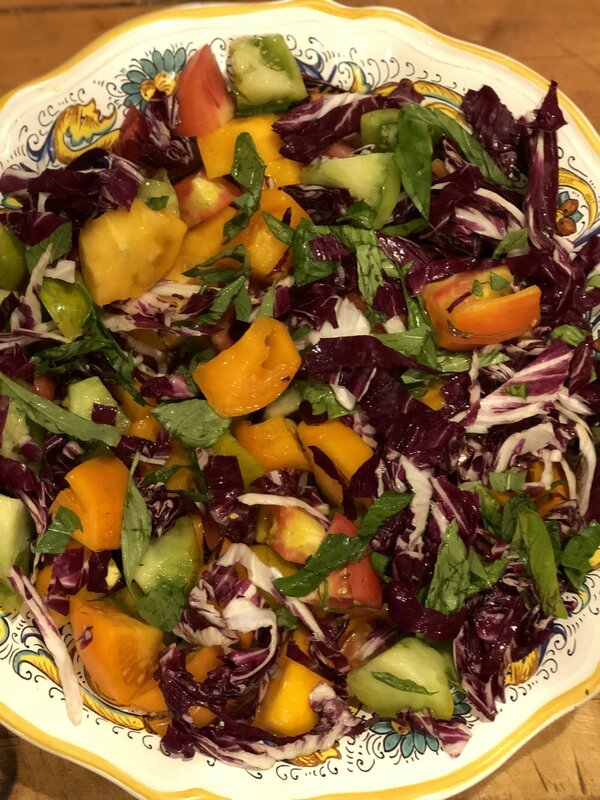 A little gardening, savvy shopping, a little cooking. Cook Fearless. I went crazy at the end by adding tagliatelle to the beans and an an heirloom tomato on the side.